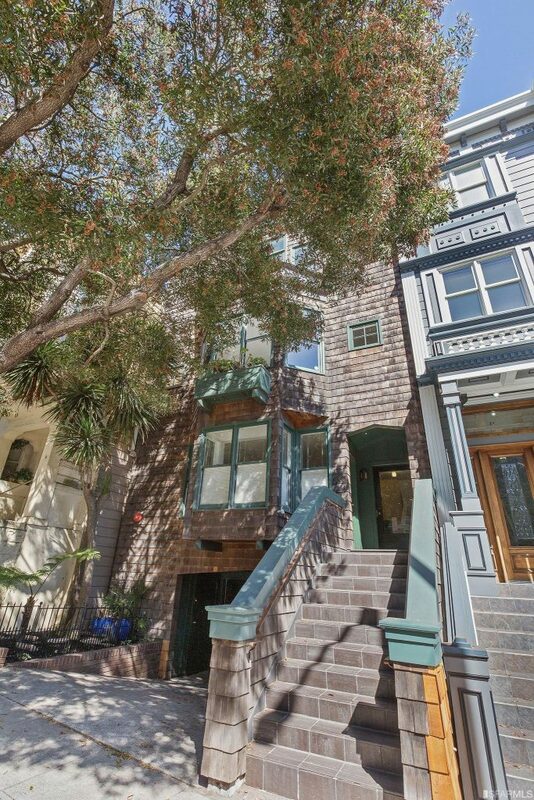 Built in 1994 & newly remodeled, this NoPa area flat is across the street from Buena Vista park & less than 2 blocks from premier retail & dining on the Divisadero St corridor. Upgraded kitchen w/ quartz countertops & high-end appliances opens up to the incredibly spacious living & dining room. South-facing, the great room is supplied w/ natural light & oasis-like privacy due to beautiful green outlooks. The large master & 2nd bedroom are set at the rear for peace & quiet. Both bathrooms have been remodeled w/ impeccable taste: Quartz countertops, custom glass shower enclosure, Italian tile & floor heating. Newer washer & dryer, Nest thermostat, 1 car side x side garage prkg & beautiful common garden complete this unbeatable unit.